If you are looking for a fun activity for your child that comes with a stack of benefits, consider booking them into a toddler gymnastics class in Melbourne with Infinity Gymnastics and Dance in Oakleigh. Infinity Gymnastics classes provide a considerable range of benefits for physical and mental development. Here are the top 5 benefits that are sure to get you interested, and your toddler practically dressing in excitement before each class. Infinity Gymnastics in Melbourne every child needs a healthy dose of exercise—and toddler gymnastics is a fun way to promote fitness. 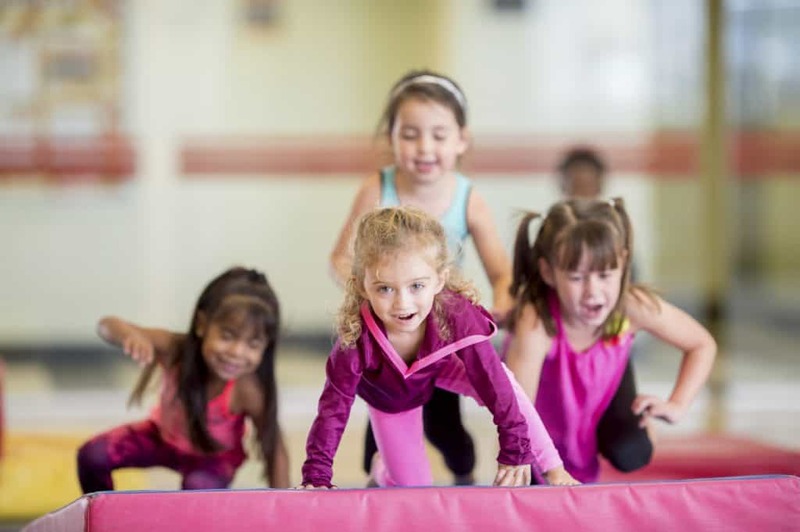 With various routines and less pressure than a team sport, gymnastics lets children participate in a range of cardiovascular moves while building body strength and muscle development. Toddler gymnastics is one of the only activities that work on many aspects of the body, including flexibility, strength, and posture. Infinity Gymnastics classes will gently allow your child’s body to become fit and flexible! Most sports just involve ‘running, kicking and catching,’ but gymnastics works on a range of activities to challenge your toddler, support their achievements, and move onto the next challenge. It gives them the opportunity to excel in a variety of activities and always keeps them interested. Whether your toddler continues on with gymnastics or gets involved in other sports, later on, toddler gymnastics strengthens and tones their body while developing coordination and body awareness. This carries on and assists children in all other games. It also encourages them to maintain a healthy and active lifestyle later in life. Participating in TumbleTastics toddler gymnastics classes provides lifelong skills, like listening and cooperation. Toddlers will have the opportunity to build strong relationships with their teachers and other children in their group as they learn to trust, support and respect each other while following rules and taking turns—and, of course, having fun! Infinity Gymnastics class, kids acquire a whole host of skills while tumbling and leaping from one apparatus to another. The improvement of body coordination, as well as gross and excellent motor skills, is a significant benefit. Gymnastics for toddlers provides a gentle challenge in a safe environment with equipment and works in some body areas. As your child learns new routines, they’ll also gain a great sense of awareness of their own body and fine-tune their memories. These benefits can be transferred to any number of other sporting activities. They can also improve classroom skills by boosting concentration and the ability to remember facts and figures. Infinity Gymnastics Brisbane: Toddler gymnastics is more fun than you’ll ever imagine. But kids also get a taste of what it’s like to commit to something and reap the rewards. It promotes a range of character-building traits such as determination, self-confidence, and courage. Toddlers learn to make mistakes—and to get up and try again. These really are lifelong skills. By encouraging the development of children’s skills and assisting them in setting and reaching new goals, Infinity Gymnastics instills positive outlooks and enthusiasm in children. Toddler gymnastics also allows toddlers to get out of their comfort zone. It promotes safe risk-taking and teaches kids to cooperate, take turns and follow instructions. Doing this has an effect on a toddler’s self-confidence, self-esteem, and overall well-being. Infinity Gymnastics & Dance in Melbourne your toddler is yet to attend childcare or kindy, allowing them to socialize with kids their own age is priceless. It gives them the chance to communicate with others, work in partnerships and also as a team. You never know, they may even meet their next best friend! Through our programming, your toddler will develop social skills that will give them a head start and prepare them for their school years. Making new friends and interacting with other children will be comfortable with their newfound confidence. Toddlers will learn how to work together as a team by cooperating to complete specific activities and participating in non-competitive games. Gymnastics is one sport that kids can remain involved in as they grow up. It makes a fun hobby for little ones and a grand long-term fitness strategy for older kids. The physical benefits are numerous, and the network of friends they’ll acquire can be extremely beneficial. Contact us at Infinity Gymnastics & Dance in Melbourne to book in your child at a toddler gymnastics class in Melbourne.